Seriously, they haven’t released many images for this film. The image, featuring the villain, presumably pre-Jokerification, thoughtful and pensive in an ornate living room. The shot is in black and white, and gives a fascinating impression of a film we’ve seen very little of. It’s formal, moody, a little regal, more British period drama than superhero flick. It’ll be fascinating to see what sort of vibe the famously eccentric Phoenix brings to the role, and how Philllips chooses to frame the character. 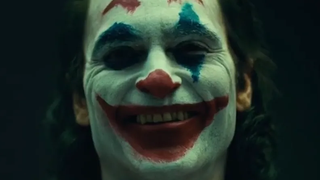 Joker, which also stars Zazie Beetz, Robert DeNiro, and Mac Maron, will be out October 4, 2019.